Successful Professional Casual Man Celebrating Work Success And.. Stock Photo, Picture And Royalty Free Image. Image 35777832. 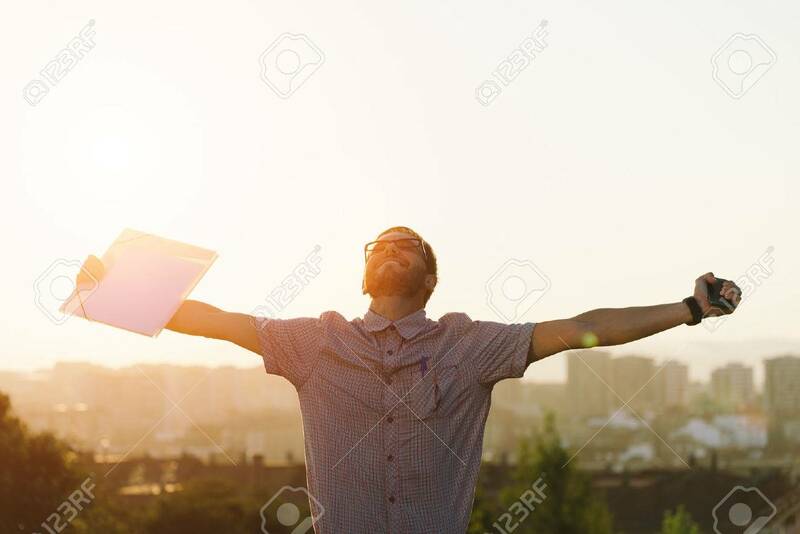 Stock Photo - Successful professional casual man celebrating work success and raising arms against city background on sunset. Job achievement or goal concept. Successful professional casual man celebrating work success and raising arms against city background on sunset. Job achievement or goal concept.